This latest flu and cold season has been severe with many of our patients taken ill. Even Dr Seymour was taken to hospital with bronchial pneumonia. Most antibiotics that are prescribed by dentists are advised to be taken for an average of 5-7 days. This is evidence based and the duration of the course depends on individual factors such as the type and severity of infection the patient is experiencing. 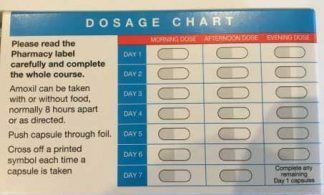 Usually we advise to give it 48 hours to fully take effect, but of equal importance is the need to complete the full course of the antibiotics given. The reason behind this is that if treatment stops too soon, the drug may not kill all the bacteria that caused the infection. Any surviving bacteria may then mutate and develop a resistance to the antibiotic in the future. This means if you get sick again with the same bacteria then the same antibiotics may no longer work against them. In fact, antibiotic resistance is one of the most concerning public health issues in the future as certain bacteria have become resistant to even the most powerful antibiotics today. This is why it is important to have a professional assessment so that antibiotics can be appropriately prescribed to only treat bacterial infections, and to also take the full course as advised, even if you feel better before the completion of the course.